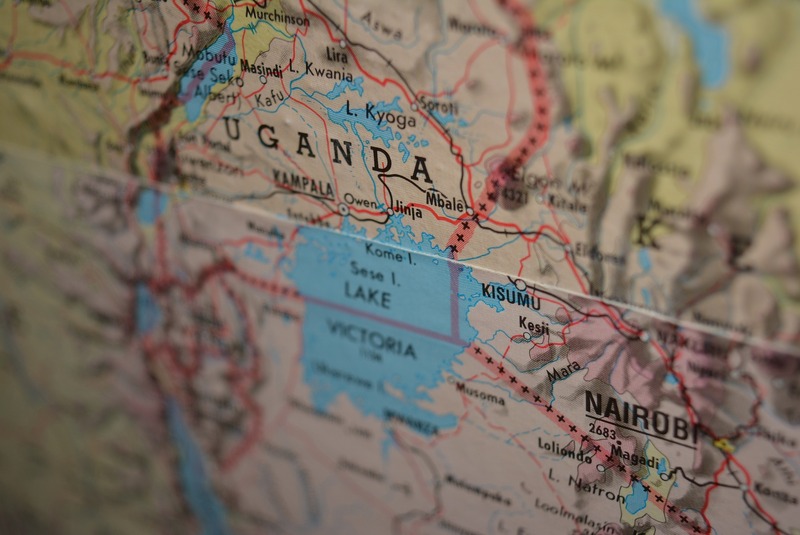 While the Eastern Africa Submarine System boosted East Africa's connectivity in 2010, it was the African Coast to Europe and West Africa Cable Systems that truly brought the continent into a new age of connectivity in 2012. While there is still little intra-North African connectivity, with most traffic from North Africa sent directly to Europe, issues of transport, transit pricing, and latency in Sub Saharan Africa are truly on the up, with new capacity and intra-African buildout plans. 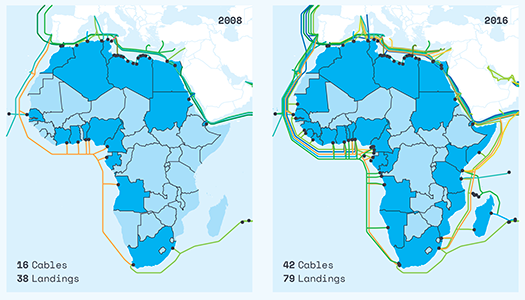 You can see what connectivity looks like in Africa today -- including in-service cables, planned cables, and landing stations -- in TeleGeography's 2017 Africa Telecommunications Map, sponsored by Angola Cables. We're proud that our maps grace the walls of telecoms companies, board rooms, and museums. Get in on this. 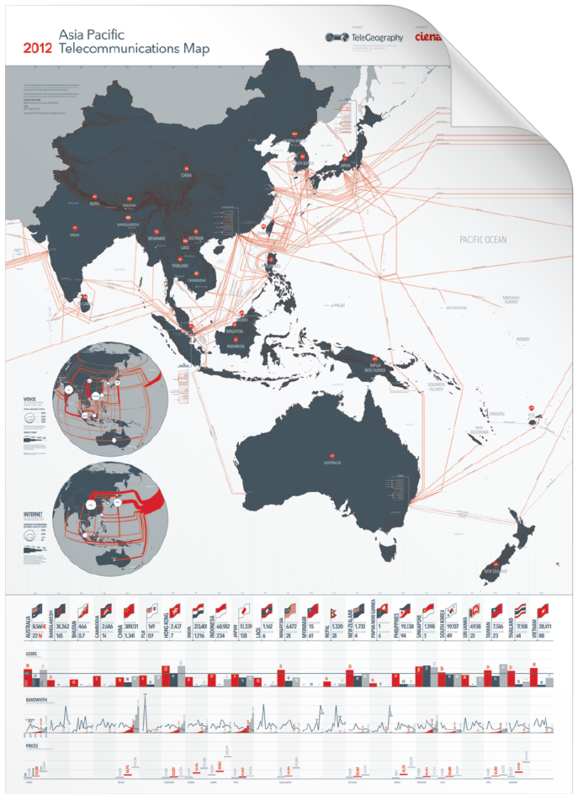 If you'd like to see your company's logo on our upcoming Asia Pacific map, click below.